Sunday September 9, 1989, a dedicated group of Unity Truth students met and formed Unity East Church (now Unity Spiritual Center). With the leadership of Melvin Ryman, long-time Unity minister, services were held on Livingston Avenue in Reynoldsburg for the first year. 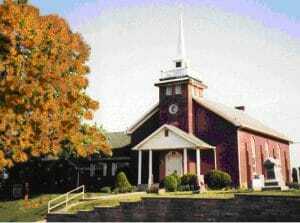 Subsequently, the church moved to Milnor Road in Pickerington. In the early 1990s, Sidney Ryman, Unity minister, joined Mel in leadership of the church. They co-ministered until 1995, when Mel left Unity East Church for retirement. Sidney continued leadership until her transition in 1997. The church continued to prosper under the spiritual leadership of Mary Lake Farley, Licensed Unity Teacher, and then Joanne Blum, Ph.D. The size of the congregation quickly outgrew the capacity of the existing location on Milnor Road in Pickerington and moved temporarily to Etna, Ohio. With the support of members and friends, in April 2003, Unity East purchased an historic church at 170 E. Columbus Street, in the village of Pickerington. We lovingly released that property to its new stewards and moved from that property in August 2018. Unity added to the many years that church property plays in Pickerington’s rich historical heritage. In the early years, as today, Unity Spiritual Center was a center of study, and classes were held frequently. 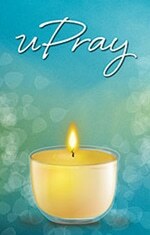 Over the years, our spiritual community has expanded in diversity and ever-deepening spirituality that it is today. In the early years, as today, Unity East was a center of study, and classes were held frequently. Over the years, this church community grew into the beautiful space of diversity and ever-deepening spirituality it is today. Besides our spiritual leaders, Unity Spiritual Center has been richly blessed throughout the years with dedicated Licensed Unity Teachers, as well as many gifted speakers and teachers. We are grateful to all the dedicated leaders and teachers who dedicated time to nurture many little truth students from the inception of the vibrant youth ministry program in September 2001.